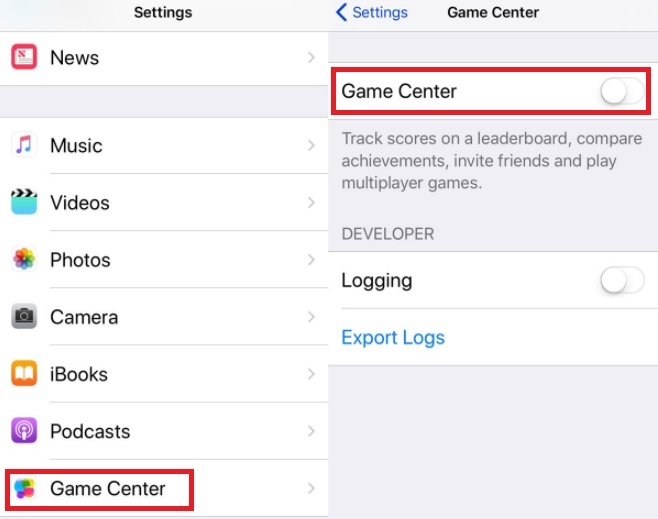 Home > iOS > How To Turn Off Game Center in iOS 11? Game Center, at the time of is inception was one of the most craved features in iOS. It was a revolutionary addition to iOS where users could play games with friends. Games like Fruit Ninja gained its popularity from the G was, at one, revolutionary. It allowed users to play games with friends. At a time when games like Fruit Ninja were popular, iOS Game Center allowed users to challenge friends and competitors and compete to beat their scores. But the improvement ceased and the Game Center remained almost where it was. Nowadays users do not use Game Center quite often. Most popular games like Marvel Contest of Champions, Clash of Clans, Letterpress and King of Thieves have their own matching engine that can find players from around the world to play with.Besides, nowadays many games support Facebook login and it’s one of the most preferred login methods. Hence, Game Center does not hold its importance anymore. iOS 11 allows users to turn off the Game Center if they want. WHere we shall show you how to turn off game Center in iOS 11. 1. Open Settings App. Scroll down and go to Game Center. 2. As Game Center opens, scroll down and find out the option Game Center. There is a slider below it. To turn off the feature, move the slider to the left. Again, if you want to turn it on, you can easily understand it.